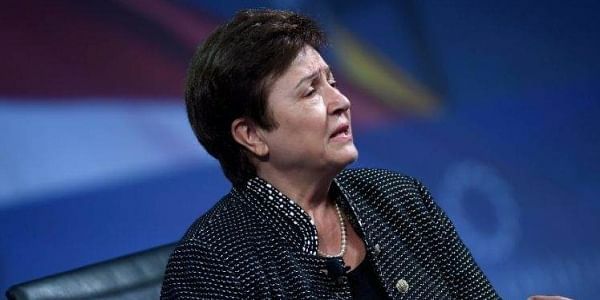 World Bank CEO Kristalina Georgieva on Saturday lauded India’s progress in the ‘Ease of Doing Business’ report, as she highlighted that the jump made has been extraordinary. NEW DELHI: World Bank CEO Kristalina Georgieva on Saturday lauded India’s progress in the ‘Ease of Doing Business’ report, as she highlighted that the jump made has been extraordinary. “India's jump of 30 places in the World Bank's Ease of Doing Business report is very rare. In reforms, what pays off is persistence. What we are seeing is extraordinary achievement by India. In the days to come, I have no doubt that it will be a high middle income country,” she said while speaking at the 'India's Business Reforms' session in the national capital. The recent report by the World Bank on 'Ease of Doing Business index' showed that India rose as much as 30 positions to rank 100th amongst 190 countries. As per the 2018 version of the Ease of Doing Business index, India has been amongst the world's top ten improvers worldwide and a leading regional reformer. "With the eight reforms enforced in the system, India made paying taxes easier by requiring that payments be made electronically to the Employees Provident Fund and introducing a set of administrative measures easing compliance with corporate income tax," said the World Bank in a statement. The report also mentioned the substantive changes implemented by the Indian Government in 2016-17 that included merging of applications for the Permanent Account Number (PAN) and Tax Account Number (TAN) for starting a new business. For the unversed, the Ease of Doing Business report is based on how easy it is for companies to do business as well takes in account certain regulations based on ten parameters including starting a business, getting electricity, dealing with construction permits and paying taxes among others.